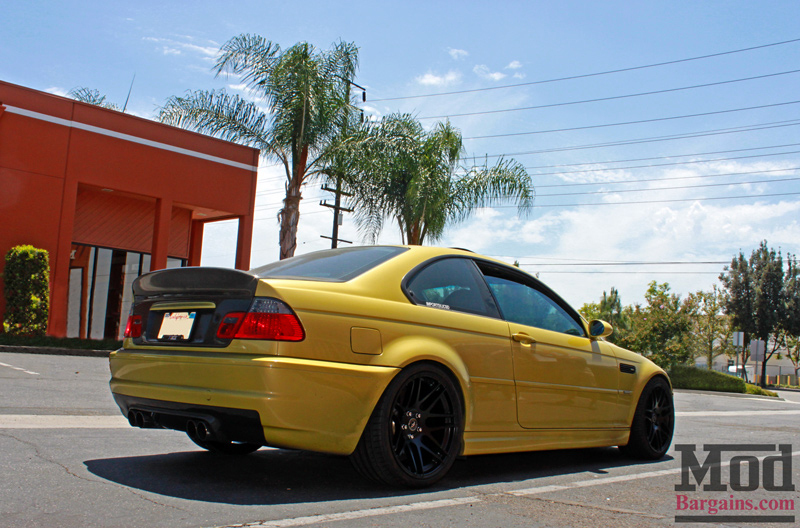 Dakar Yellow is one of the most polarizing colors for the E46 BMW M3. Among enthusiasts it’s a favorite, among other folks, it’s not their favorite, to put it nicely. 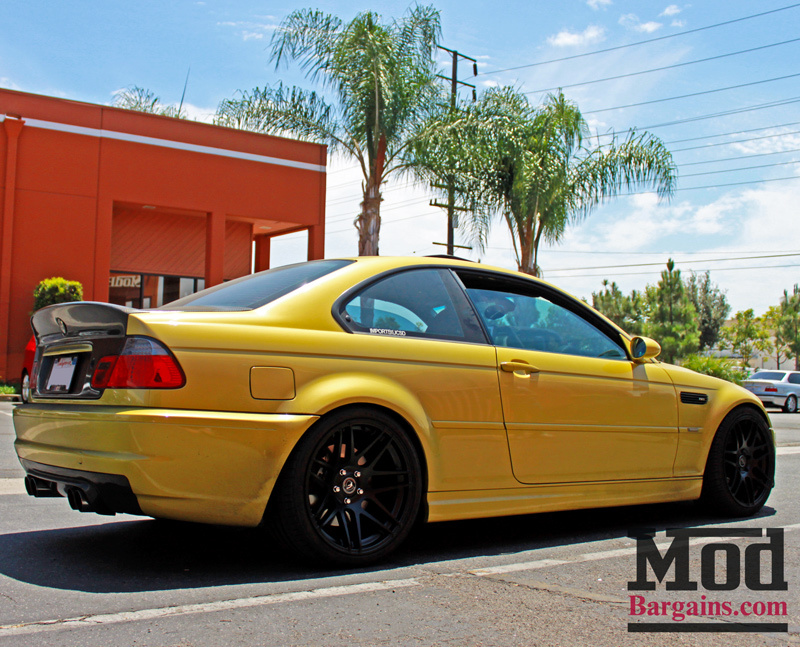 Though the color does have a hint of green which doesn’t show up well in these photos, the Dakar Yellow E46 M3 is definitely an eye-catcher – amongst a sea of endless Silver, Gray and Gunmetal M3s, this is one of the colors (like Imola Red) that really POPS and will definitely get you some attention. This particular BMW E46 M3 has been coming by for a while, but today we finally fitted a new set of BMW E46 Wheels – a set of Forgestar F14 wheels in semi-gloss black. The Semi-Gloss Finish of the F14’s ties in well to the Carbon Fiber CSL-style Trunk for E46 and CSL-style Carbon Fiber Rear Diffuser for E46 M3. The intense Phoenix Yellow is a stark contrast to the blue SoCal sky. The Bespoke look of these semigloss Forgestar F14 BMW wheels is an excellent compliment to the fender grilles and finer details of the E46 M3. Up front, the Carbon Fiber Front Lip for E46 M3 gives the car a more aggressive look. We look forward to seeing this unique M3 again very soon and we hope you enjoyed the photos as much as we enjoyed shooting them. 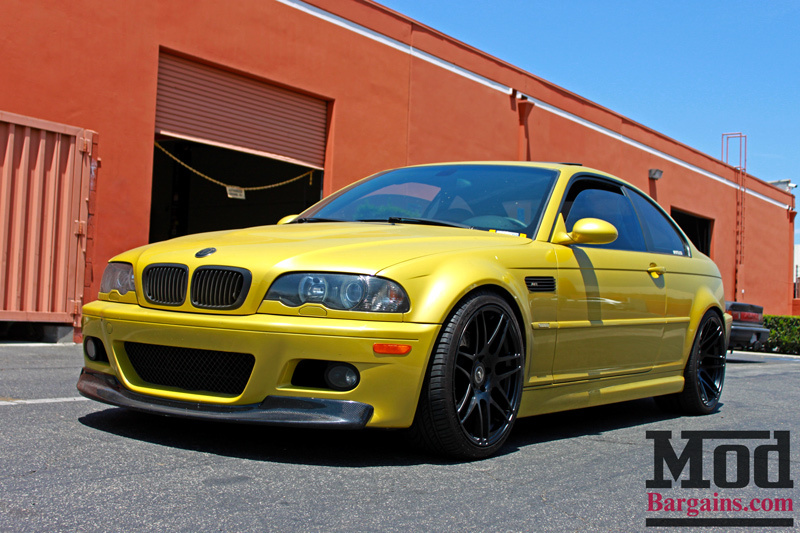 Interested in enhancing the look and powerof your BMW E46 M3? Ask the Mod Experts what exterior upgrades are available for your car to change the style of your M3. Want to start modding your E46 M3 but aren’t sure where to start? 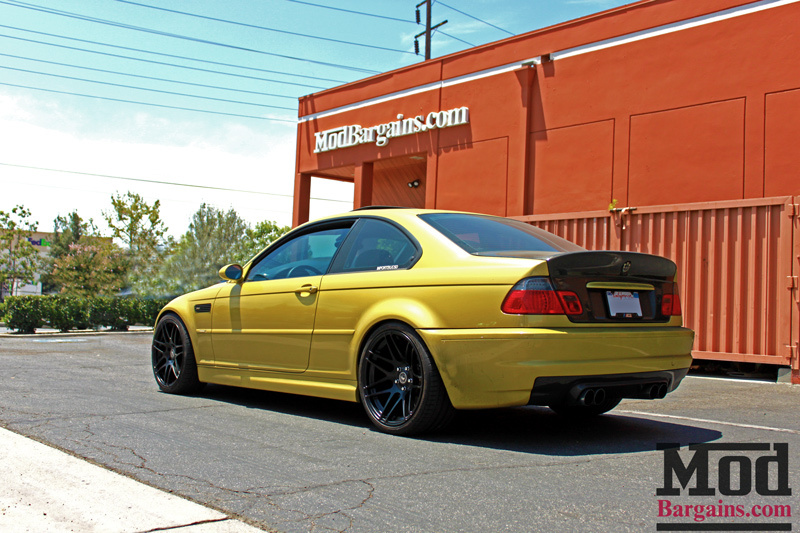 Check out our guide to the Best Mods for E46 BMW M3 here. Call us at 714-582-3330 for expert car mod advice and schedule your installation at the Mod Auto shop today.